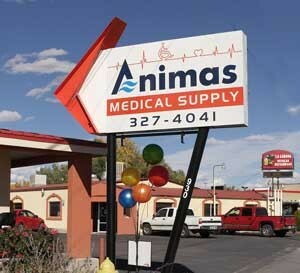 Ron and Sharon Hicks are the owners of Animas Medical Supply, and are happy to help! Please call us with any questions (505) 327-4041, or email. 930 East Main • Farmington, New Mexico, next door to La Cabana Mexican restaurant. See map here.